Missouri Education Watchdog: Could eScholar Data Mining on "Bobby" be Considered Stalking? Could eScholar Data Mining on "Bobby" be Considered Stalking? Should stalking awareness include the information gathered on your child and disseminated without parental knowledge and/or consent? New York state education officials Monday said they selected four companies to build a broad education database that will host students' test scores, curriculum materials and education apps, paid for by up to $50 million in federal Race to the Top funds. The state Education Department said that by fall 2013, school districts will be able to use one of the data systems created by either ConnectEDU, eScholar or Pearson PLC and its subsidiary Schoolnet. The systems are supposed to store student test scores, student demographic information, curriculum materials, lesson plans and other items that teachers or parents can access. Companies will get paid, in part, based on how many school districts select their data system. "Have you met Bobby yet?" Meet Bobby, the newest member of the eScholar myTrack team. We think that educators have a lot of students like Bobby, students who have things that they want to do, but aren’t always sure how to get there. Check out the video to see how Bobby and his team of supporters use myTrack to help him reach his goals. What do you think? Do you have any students like Bobby? eScholar is a company that received federal stimulus dollars to track your child without your knowledge or permission. Could such behavior and practice be considered not just data mining but stalking? "Stalking" is the term commonly used to refer to a pattern of behavior directed towards an individual by another that results in the person to whom the behavior is directed fearing for themselves and/or others. The behaviors can involve overtly criminal behavior or seemingly non-criminal, innocent behavior or both. 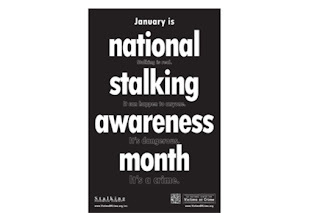 Stalking can escalate and ultimately result in actual physical harm to its intended subject. 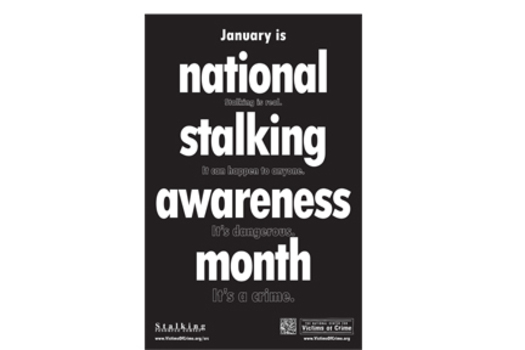 In contrast to many other criminal offenses, stalking involves repeated victimization of the targeted individual. Stalking, therefore, is a series of acts or a course of conduct and never a single incident. Another contrast between other criminal offenses and stalking is the attention placed on the impact of the actions on the victim in stalking situations. Should the tracking of student academic and non-academic information and sharing it with federal agencies and private organizations without parental/student knowledge/permission be allowed? How is the difference in the dissemination of personal information about "Bobby" to others and monitoring "Bobby's" computer usage via the relaxation of FERPA any different than the definition of how stalkers operate? Today, a consensus has emerged amongst educators at all levels that there is a need to create an LDS that provides a comprehensive view of education from early childhood through postsecondary and beyond (P-20). This capability is essential to maximizing the effectiveness of our efforts to encourage every student to achieve his or her greatest potential. A key element of this LDS is a comprehensive data warehouse that supports the data requirements of the P-20 world. With the introduction of CDW-PS, which integrates with our eScholar Uniq-ID® products supporting unique identification and ID management of individuals from early childhood through postsecondary, eScholar now has a complete solution for a P-20 data warehouse. The data model for the CDW-PS product is specifically designed to integrate with the eScholar Complete Data Warehouse® for PK-12 product to create a comprehensive LDS of over 3,000 data elements encompassing student and teacher academic history from pre-K through higher education. This powerful combination enables SEAs to answer key P-20 questions through one software product solution. The goal of data mining children from eScholar sure sounds noble, innocent and non-threatening. The video celebrates the collaboration of teachers, principals and supporters helping "Bobby" to set his goals. It's sold to districts and parents to ensure the student responds well to structured assessments and behaviors determined to be acceptable to the government's rubrics. eScholar is a company funded by government money to gather over 3000 data points on your child and teachers so your child doesn't get "off track". Since when did the government start tracking human behavior and making the determination of what is "off track" and what is a child's "greatest potential"? Isn't that up to the child and his/her parents? Can anyone answer this question? How can eScholar offer a "personalized track" for "Bobby" when "Bobby" is stuck in a "common" educational system? Watch the CEO's speech at the White House on his view of data and why he believes it is important to track individual data on each student. Again, it sounds noble, innocent and non-threatening. A student's future is dependent on the data. At 9:25 he mentions how Common Core ties this all together. A student must determine if his/her goals are successfully tied into a common skill set. What do you think would happen and what could go wrong if "Bobby's" strongest skills and talents did not align with the Common Core skill set prescribed by SBAC or PARCC? I believe the stalking description has merit, especially since the description of the behaviors and recent changes to FERPA reflect "civil death" -- the loss of rights as a member of the body politic and thus the protections afforded by the state. For the government to set up a system that allows individuals to be the object of intense observation by private parties without their knowledge constitutes an attack on basic privacy rights. I think it goes beyond just stalking and privacy invasion - this is a Communist agenda. People need to wake up and fast.